DEBENHAMS employees in Wales are fearing for their job security, after the department store chain announced a takeover by its lenders. The lenders, Barclays, Bank of Ireland, and hedge funds Silver Point Capital and GoldenTree Asset Management, will now try to sell the business as soon as possible. Whilst all stores are set to stay open for now, up to 50 branches have been earmarked for closure in the future. A list of which shops may be shut has not been released, but it is expected that some closures will affect Wales. Debenhams is the largest department store chain in the UK, with 166 stores and roughly 25,000 employees. In Wales, there are stores in Haverfordwest, Carmarthen, Llanelli, Swansea, Cardiff, Bangor, Wrexham, Newport, Merthyr and Llandudno. The chain has passed through a pre-pack administration process, which allows a company sell itself or its assets, as a going concern, without affecting the operation of the business. Yet this will see shareholders lose their investments in the company. Mike Ashley, founder and owner of Sports Direct, held a near-30% stake in the company, which had cost around £150m to build up, and on Monday (Apr 8), Debenhams rejected a £150m rescue offer from Sports Direct. Early on Tuesday a £200m offer was also rejected, as it would have seen Mr Ashley made Chief Executive and the lenders were suspicious of his intentions. Many thought that Ashley hoped to merge Debenhams and House of Fraser, which he acquired in 2018 after it entered administration. 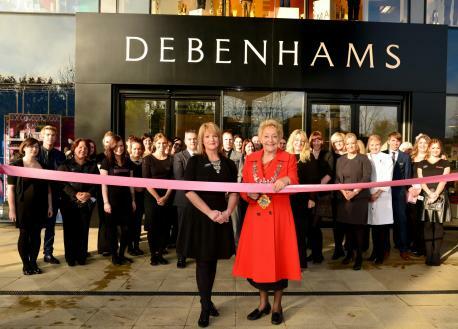 Three years ago Debenhams was worth £900m, as of this week it is now worth £20m. Three profit warnings were issued last year, and 2018 also saw a record pre-tax loss of £491.5m. The chain also has a debt pile of £622m. #IPledge2Talk about male suicide, says Eluned Morgan – will you too?